Oral hygiene and good health is so important. Having bad teeth is instantly noticeable, and could well have a detrimental effect on employability - or even relationships. If you want clean white teeth, regular dental visits are essential. 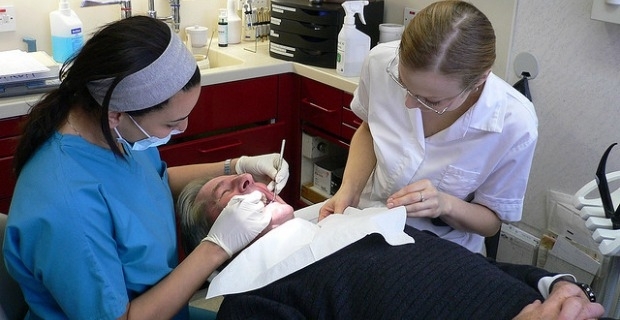 You might well want to consider cheap dental insurance in the UK in 2014 that covers everything. If you want to organise a cheap dental insurance in the UK in 2014 that covers everything, here are some of the best options. AvivaA variety of policies are available. Treatment-only cover can be chosen, or even diagnostic-only. But Aviva will provide a policy that will cater for every eventuality. A cashback of up to £300 is offered. SagaDental insurance follows the same attributes as Aviva, in terms of a choice of treatment, mid-range of comprehensive cover. The important difference is that you must be aged 50 or over to qualify. With Saga policies, the first three months are free, provided you pay by direct debit, and you hold the policy for 12 months. The dental cashback amount varies according to individual circumstances, but claims are settled directly. There are also dental hospital options, for both standard admissions, and also upgrades for treatment in London. Simply HealthThere are four levels of dental insurance available here, with Level 4 providing comprehensive cover at a monthly premium of £23.95. The policy will cover check-ups, investigations, x-rays, scale and polish treatment - if you are looking for more specialist cover (dental hospital, emergency visit, or even mouth cancer) this is all available, but will obviously add more to the premium. In considering cheap dental insurance in the UK in 2014 that covers everything, you should understand the basic terms that will be presented to you. Routine treatment is basically all the regular tasks performed in a dentist's chair. Dental emergencies mean any incidents of acute pain, haemorrhaging or swelling. More serious problems will refer to cases requiring specialist consultation or surgeon's fees.